Admitting publicly – like I am about to do – that I follow several blogs related to fashion ultimately raises my rating on the gay-ness scale one full notch. One notch doesn’t sound like that much until you realize that the scale only goes to seven. I’m not at seven yet but I might have just crossed the half-way point. For a while now, I’ve been following and star-ing some of the things that catch my eye in my reader and I decided it was finally time to do something with them. I can’t afford any of them so I might as well share them with everyone else in hopes that the gifts will start flowing. We’ll see how long I can last in up-keeping a regular posting schedule of a theme. My previous attempt fell quite short. Rules: There are no rules. If I like it, it has a chance of making the cut. Some, but not all will be higher-end dress related and most of anything posted will be looks I could only hope to attain but more than likely couldn’t pull off. Feel free to submit your finds here, they might just make this highly prestigious list. A great Fall look. I dig the slim tailoring of this look and the double-pocket on his right side is a great touch. The boots I could do without. I own one piece of clothing from J. Crew. I need more. They make killer stuff. This looks like another Fall necessity but I hinge that only on the fact that I’m not a huge fleece guy, would have to see in person. Call me crazy but this guy has it going on. 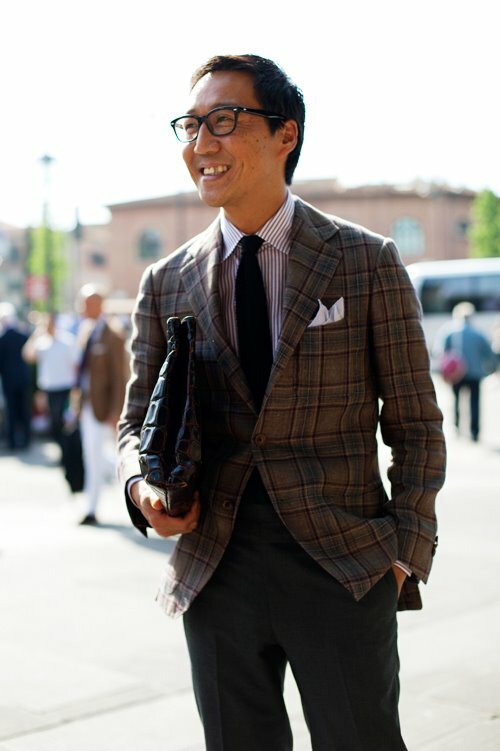 The jacket alone is golden but adding in the striped spread collar and the flat-front trousers is a work of art. For this look, I will find a way. 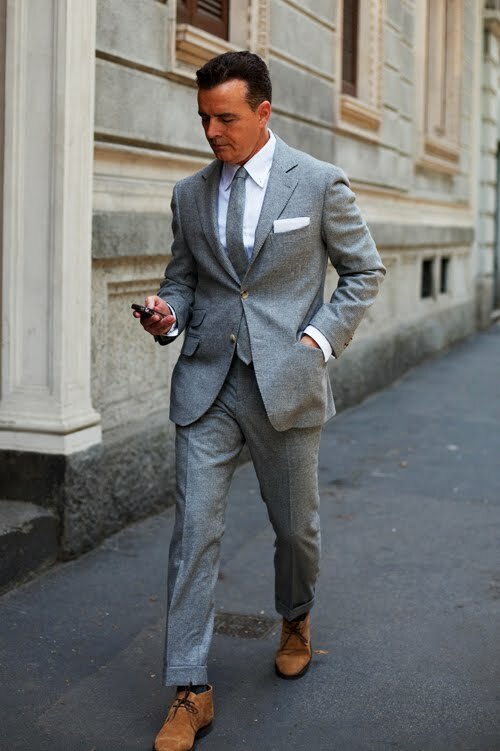 Those jeans are SLIM, the shirt collar high, pocket square prominent, the jacket sleeve very slim and at the perfect length, and the tie at just the right angle of sprezzatura! I have been and will continue looking to find this look for the foreseeable future. Classic. As for the gay-ness concern, just make sure your next post is about manly stuff like monster trucks, mustaches or missiles, and it will alleviate any questions we may have had. Good call, a mustaches post is in the works.